Flip a coin. If heads, stares into opponent's sub conscious. 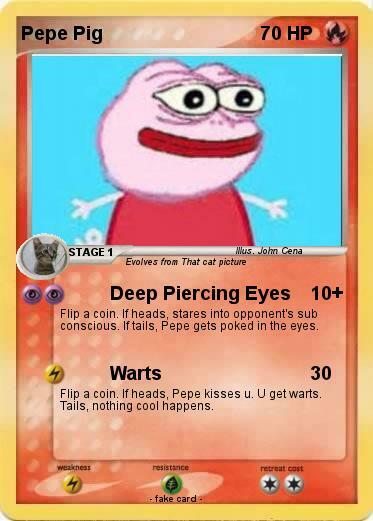 If tails, Pepe gets poked in the eyes. Flip a coin. If heads, Pepe kisses u. U get warts. Tails, nothing cool happens.